*Vienna should read Austria – sorry! We are fairly new to Instagram and this project taught us a lot about planning posts and managing a busy account. We also made contacts with other museums and got to share our collections with a new audience. I was able to work with new – Western – audiences; we got new followers. To work on content together with colleagues, a useful and rewarding challenge. We do this normally, but not to this extent. 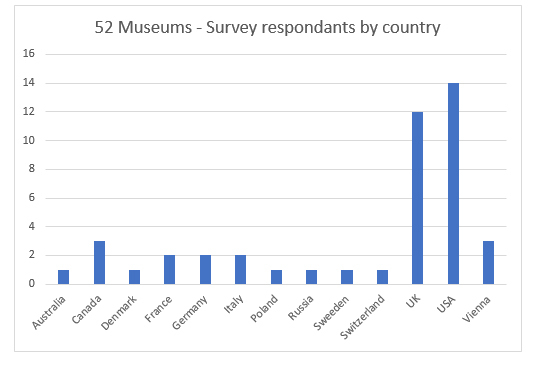 It may have been better to top load the initial Museums with accounts that already have a large instagram following who need the boost in figures less, so that the institutions with smaller followings later on get the benefit of 52Museums boosting their own account. It was challenging and made me focus. I now have loads of images to use on our own account as well some really good ideas for our account in the future. 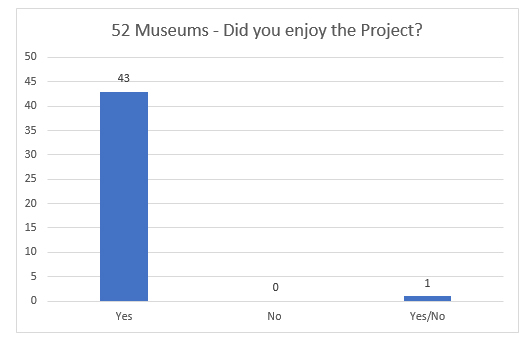 I thoroughly enjoyed the comments I received from numerous followers (we don’t receive that many comments on the [Museums] account). We enjoyed it a lot especially because we could try out a few things we couldn’t on our channel. This reinvigorated my social media game – it reminded me why I love my job. I enjoyed the chance to interact with museums & people all over the world and also to collate content with the help of colleagues. It has definitely encouraged people to collaborate more on our social media accounts, rather than just see it as the work of the Digital Media team. 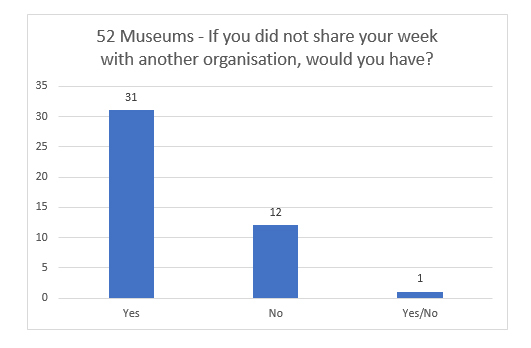 Curiosity: @52museums followers seem to be open-minded and curious, knowing that they follow an account that changes every week. We had a lot of positive feedback, people from all around the world showed genuine interest in what we do. 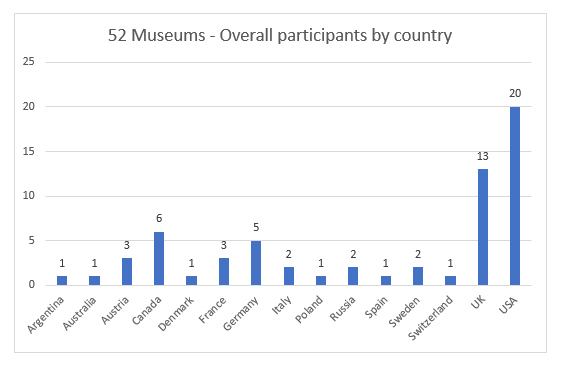 We could win many new followers for 52museums, which was also really great. It was fun to be a part of a larger campaign and a community that is so supportive of one another. This project gave us the opportunity to really focus on our online communication practices, and because of this we are now changing the way we communicate through social media. Very time consuming and we may not have the resource to do it again depending on if and when it occurred. It was a lot of work, so I’d like to have a go again, but it’d depend on workload. What were your most popular posts of the week? Really visually interesting ones did well, and those that were a little more provocative. The posts featuring images taken by our visitors. The videos, before and after restoration images, and, of course, our cat Edmund. Poorer quality images and more personal posts. The quirky (video of washing a stuffed polar bear), the visually stunning (Chinese wallpaper), anything fashion-related. 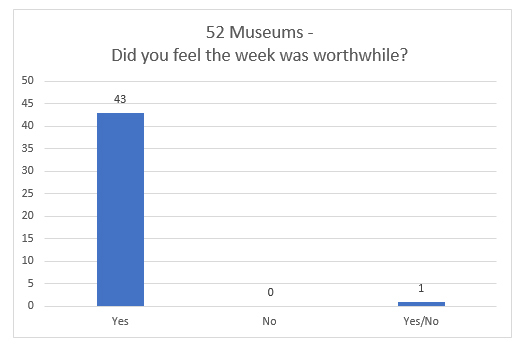 What were your least popular posts of the week? Anything that seemed like a ‘marketing shot’ or was less visually interesting. For me, the ones first thing in the morning (UK) were the least popular. 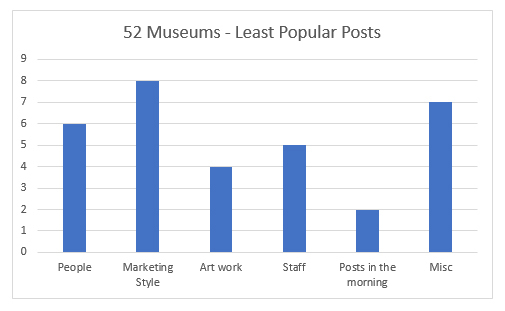 The posts about the work we do with the public and about our research were the least popular posts…and that was not unexpected. Some of the posts with fewest likes actually received more comments/questions. Those with actual people in them. Sounds weird, but that is what we noticed. 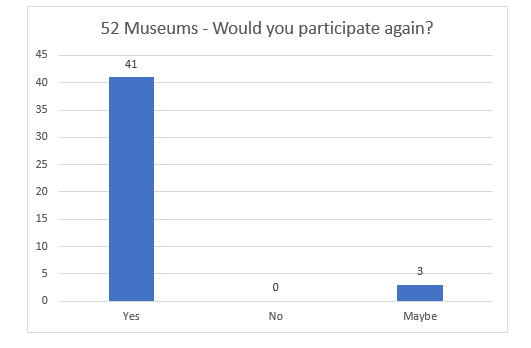 As you can see @52Museums was an overwhelming success for participants. Not only did we get to see awesome sharing internationally, museums were able to learn a thing or two along the way. 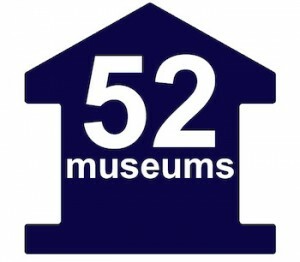 @52Museums 2017 schedule is already live but it’s never too late to sign up! 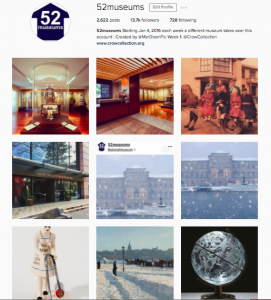 If you’re not a museums, please follow @52Museums on both Instagram and Twitter and support them!